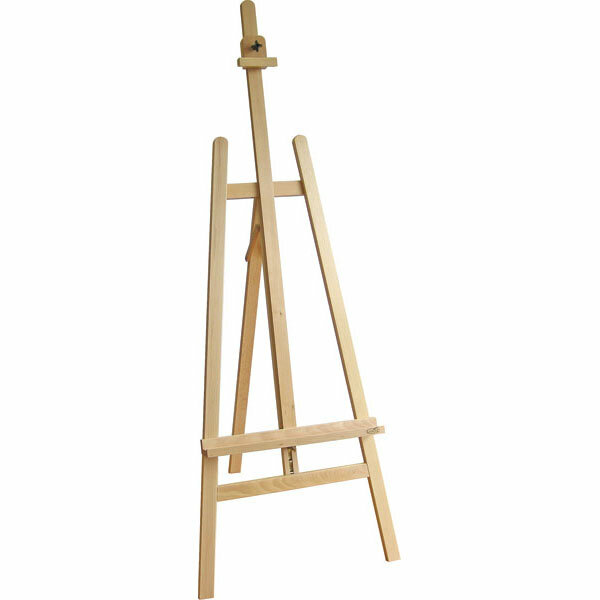 A solid studio Lyre shaped easel, produced from seasoned Elm wood, which lends itself very well to the home and busy class environment. Its adjustability yeilds itself to all variety of painting sizes and its back leg folds easily to save space when not in use. The lower canvas support is adjustable in height with the use of a metal ratchet mechanism. This easel is great for artists who paint with Oils and Acrylics.